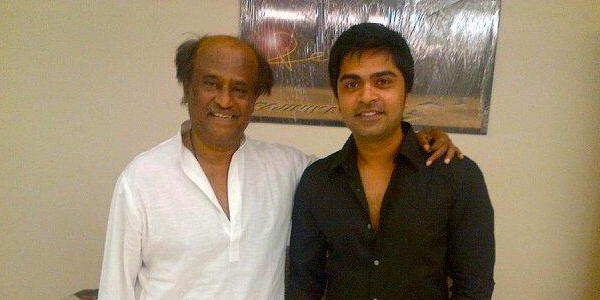 Simbhu was not seen in Tamil cinema for quite long. He was last seen in ‘Podaa Podi’ where he was paired with Varalakshmi. Later he acted in ‘Vaalu’ , ‘Vettai Mannan’ with Hansika, ‘Idhu Namma Aalu’ with Nayantara and ‘Satendru Maaruthu Vaanilai’ under Gautham menon direction. But no movie seem to be progressing and most of the movies were stationed halfway. ‘Vaalu’ audio and trailer were released after a long time recently. Simbhu who refrained from media, recently opened up in an interview to a leading tamil magazine. He says, “I dreamt of becoming like Rajini sir. I wanted to be a superstar, but not anymore. I have embraced spirituality now, which is my first love. Cinema is next. That haristyle was specifically prepared for the final leg of the shooting. I wanted to shout, ‘That’s my film. What’s your problem’?” ‘Vaalu’ or ‘Idhu Namma Aalu’ is expected to hit screens before end of 2014 .